2011 JiC International Criminal Justice Awards! For the pursuit and project of international criminal justice, 2011 has been nothing short of extraordinary. We will almost surely still be talking about 2011 in 2031. This past year has brought an unprecedented – and even surprising – level of interest and scrutiny to the work of international criminal justice. With the possible exception of 1945-6, during which high-ranking Nazi and Japanese officials were tried at the Nuremberg and Tokyo Military Tribunals, no year to date has seen so much attention paid to the efforts of bringing perpetrators of some of the worst human rights violations to account. In the past 12 months, the International Criminal Court has become involved in new conflicts (Libya and Ivory Coast), elected a new Prosecutor (Fatou Bensouda), and has been confronted with new challenges (funding) – all of which has created much fodder for commentary. The inaugural JiC Awards are an opportunity to reflect on the year past, the year ahead and to recognize the contributions and stories that made 2011 a year like no other for the pursuit of justice in conflict. These awards represent the best and the worst from 2011. Thanks for reading and enjoy! Biggest Catch: It was a close call, but the prize for the biggest catch in international criminal justice in 2011 goes to Laurent Gbagbo, narrowly edging out Ratko Mladic. Gbagbo is the first former head of state to be in the custody of the ICC, marking a significant political coup for the Court and (hopefully) justice in Ivory Coast. Quite simply, in terms of victories for international criminal justice, Gbagbo is a head (of state) above the rest. Best (Worst, really) Supporting Actor: There’s a myriad of individuals to choose from for this award, but the 2011 award goes to Abdullah al-Senussi, Muammar Gaddafi’s trusted henchman. While other perpetrators of atrocities have received greater attention this year and despite the lion’s share of attention being paid to the Western-groomed Saif al-Islam Gaddafi in Libya, al-Senussi holds the darkest secrets of the Gaddafi regime. Al-Senussi, not Gaddafi, is the “crown jewel” of justice in Libya. Biggest Gaffe: This was a no-brainer. The biggest gaffe in international criminal justice was the target killings of individuals who really should have faced justice in the dock. It may be easier – and certainly a good thing – to live in a world where Osama bin Laden and Muammar Gaddafi are not able to wreak terror. But their assassinations were a missed opportunity for justice to be served and may pose a troubling counter-trend to international criminal justice. Biggest Surprise: In a year in which no one could have predicted the surging influence and impact of international criminal justice on international relations, there are a number of possible selections for this award. But nothing was as surprising as the role of international justice during the Arab Spring. Prior to 2011 there had been minimal discussion about the potential relationship between international criminal justice and the Arab world. Arab states were the least represented amongst members states of the ICC. 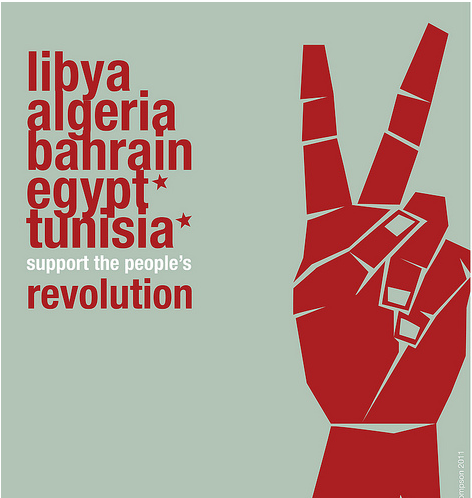 Tunisia has since joined the Court and there have been reports that Egypt would follow suit. In May, the ICC held a regional conference in Doha, Qatar, where a change in tone amongst Arab states towards the ICC was palpable. So surprising was this shift in attitude that the ICC itself appears to have been caught off guard. Within months of the Arab Spring, the Court launched a program to boost the number of Arabic lawyers able to practice at the ICC and the Court hired Fadi el-Abdallah, formerly an Outreach Officer at the Court, to be an ICC spokesperson. If the first decade of the ICC’s existence was dominated by its interventions in Africa, it is at least worth wondering whether the next decade might be defined by its work in the Arab world. Of course, serious questions remain for the role of international criminal justice in the Arab world. It is likely – and in Tunisia, it is already the case – that Islamic governments will be elected and it remains unclear how international criminal justice will fit with Sharia Law as well as Islamic customs and traditions. A close runner-up for neglected story was Uganda’s first war crimes trial. For a country where the “peace versus justice” debate was in full-swing just a few short years ago, very, very little was said – within and outside of Uganda – of the trial of Thomas Kwoyelo. However, as both Patrick and I have suggested, the Kwoyelo trial could have significant repercussions on both peace and justice in northern Uganda. Best Site: Opinio Juris. The commentary at OJ is top-notch. Written by some of the world’s preeminent international law scholars, the site’s contribution to debates on international justice and international law are second to none. There simply is no match. For readers of JiC, OJ is of particular interest as it is one of the few blogs of its calibre that consistently wrestles with the politics of international law. There are a slew of other great, must-read sites of note this year. Here are just a select few: IJCentral, The Open Society Justice Initiative, Wronging Rights, PhD studies in Human Rights, and RNW International Justice. Best Commentator: There is an ever-growing number of thoughtful and thought-provoking commentators on issues of international criminal justice. But rising above the others in 2011 was Kevin Jon Heller of Opinio Juris. Kevin is not one to shy away from telling it like it is or mixing it up with other analysts – a far too rare commodity. If you don’t appreciate his insights and enjoy his hard-hitting style, there’s a good chance there’s something wrong with you. A good example of what sets Kevin’s writing apart from the rest was evidenced in one of his recent posts. Other commentators (myself included) would struggle to figure out how to put the word “marginalized” into a catchy sounding title about Sudanese President Omar al-Bashir’s inability to travel to certain ICC member states such as Kenya. Kevin, instead, knocks it out of the park: “No Nairobi for You, Omar.” Someone needs to make a documentary with this title on how the international criminal law marginalizes – or doesn’t marginalize – leaders. Runner-up goes to David Bosco, who has provided readers of his blog, The Multilateralist, with a number of fascinating glimpses into the functioning and politics of the International Criminal Court. Person to look out for in 2012: Had Muammar Gaddafi not been killed, his personal fate would have been a top story for 2012. Of course, as readers know, he met a brutal – perhaps even criminal – end in October. As a result, we’ve chosen Fatou Bensouda as the person to look out for in 2012. Bensouda was elected in December to be the ICC’s second Prosecutor after Luis Moreno-Ocampo. She will officially take over as the Court’s top Prosecutor in June 2012. It will be particularly fascinating to see whether Bensouda’s tenure instigates a cultural change in the Office of the Prosecutor and whether her background as an African lawyer (and her endorsement by the African Union) affects the tumultuous relationship between numerous African Union states and the ICC. Could Sudanese President Omar al-Bashir end up at the ICC? Story to follow in 2012: This was perhaps the most difficult award to give out. In the wake of a year chalk-full of unforeseen drama, it would come as no shock that the top story of 2012 will be one that no one will or can predict. Then again, there are key stories from 2011 that will create big splashes in the coming year. On the brink of 2012, the most pressing story is whether the ICC gets involved in the humanitarian crisis in Syria. We know that investigations of human rights violations have been taking place, with the goal of eventually holding an ICC trial of President Bashar Assad. But, following the performance of the NATO and the West in Libya, Russia and China appear reluctant to put Syria on a similar trajectory towards intervention. If their positions soften and the brutality waged by Assad against his own people continues, look to Syria as a possible candidate for both an ICC investigation and a NATO-led intervention. Other key stories to watch in 2012 will be the fates of Saif al-Islam Gaddafi and Abdullah al-Senussi. Will they be tried in Libya? To what extent will the ICC be involved in a trial of the two remaining members of the Tripoli Three? How will their trials affect reconciliation and stability in the fragile context of post-Gaddafi Libya? The next 12 months will provide answers to these pressing questions. It is also worth following the possibility of Palestine achieving statehood and whether the ICC will finally decide on whether or not it will/can investigate alleged war crimes in Palestine. It remains curious, to put it lightly, that in the past three years the Office of the Prosecutor has sat on this case, refusing to decide whether or not it will or won’t look into human rights abuses in Palestine. 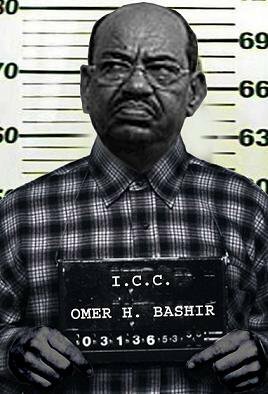 I’ll end the 2011 JiC International Criminal Justice Awards with a bold prediction: Omar al-Bashir will no longer be president of Sudan this time next year. Despite traveling to a number of ICC-member states this year, Bashir’s world is getting smaller and the Arab Spring has put new – albeit small – pressures on Bashir’s rule in Sudan. It has been a bad year for bad guys and while Bashir may not end up in an ICC courtroom, if the 2011 pattern of tyrannical rulers meeting their demise continues into 2012, Bashir could be next. There is little doubt he is a perfect candidate. If you have other suggestions for our JiC Award selections, please do let us know – we’d love to hear from you. Happy new years from all of us at JiC! 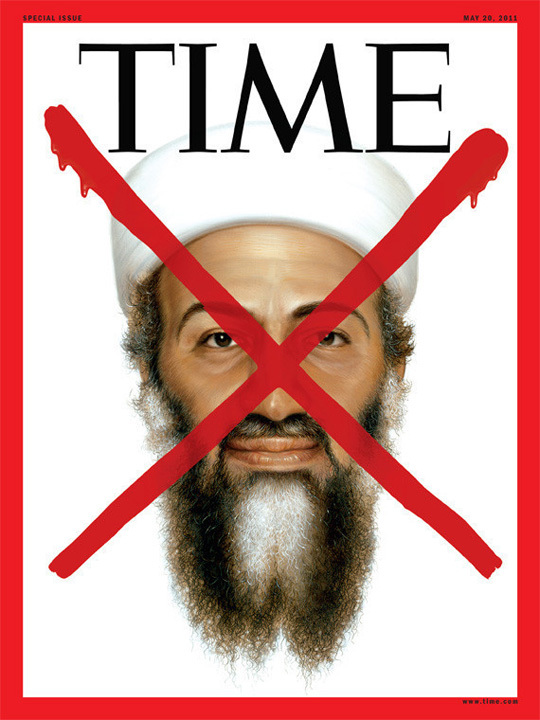 This entry was posted in Fatou Bensouda, Funding, Human Rights, ICC Prosecutor, International Criminal Court (ICC), Ivory Coast / Côte d'Ivoire, Ivory Coast and the ICC, JiC News, Justice, Libya, Libya and the ICC, Nuremberg Trials, Osama bin Laden, Osama bin Laden and international law, Palestine, Palestine and the ICC. Bookmark the permalink. 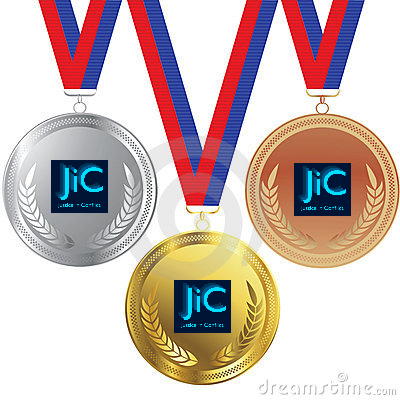 1 Response to JiC’s 2011 International Criminal Justice Awards!